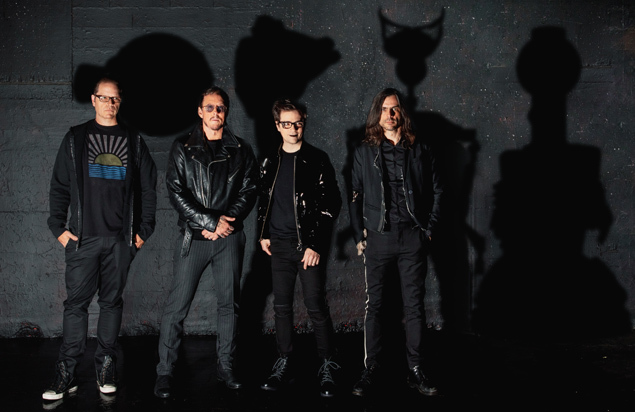 BETHLEHEM, PA—GRAMMY-winning, chart-topping rockers Weezer will electrify the Musikfest crowd when they headline the festival’s Sands Steel Stage Aug. 5 at 7 p.m. Tickets for the concert are $59-$99 and go on sale March 26, 10 a.m., to ArtsQuest Members and March 29, 10 a.m., to the public at www.musikfest.org and 610-332-3378. Formed in Los Angeles in 1992, Weezer has released more than a dozen albums, selling more than 17 total million records. Its 2018 single, a cover of Toto’s “Africa,” hit number one on Billboard’s Alternative Songs Chart and went top 3 at Hot AC. Weezer’s debut, the triple platinum Weezer (aka ‘The Blue Album’), featured the hits “Buddy Holly,” “Undone (The Sweater Song)” and “Say It Ain’t So,” earning the band a loyal fan base. In 2003, the record was named one of the Top 500 Albums of All Time by Rolling Stone. Make Believe, released in 2005, became the group’s highest charting album to date, hitting No. 2 on the Billboard 200. Two of the album’s singles, “Beverly Hills” and “Perfect Situation,” also went on to top Billboard’s Modern Rock Tracks charts. 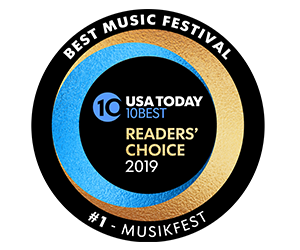 Three years later, the group captured a GRAMMY in the Best Short Form Video category for its hit, “Pork and Beans,” off Weezer (aka ‘The Red Album’). The band’s most recent recordings are The Teal Album and The Black Album, both released earlier this year. 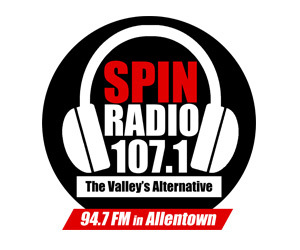 The Weezer concert, which marks the band’s second appearance at Musikfest (first was 2014), is supported by media partner 107.1 SPIN Radio. Other 2019 Sands Steel Stage headliners announced so far include Earth, Wind & Fire Aug. 1 (Preview Night), The Chainsmokers Aug. 2, Steve Miller Band with Marty Stuart and his Fabulous Superlatives Aug. 3, Lady Antebellum Aug. 4, Train & Goo Goo Dolls Aug. 6, Incubus Aug. 7, Godsmack Aug. 9 and Brad Paisley Aug. 11.